Morning Has Broken, originally uploaded by Kenny Maths. The photographer: “was tired and weary, mostly through not having slept very well as a result of my first few days at the altitude of the Tibetan plateau. 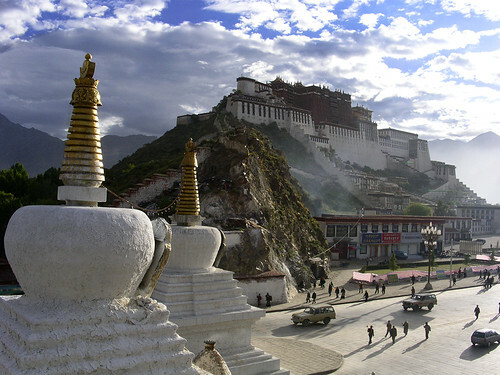 However, given the chance to see sunrise over the Potala Palace (the former home of the Dalai Lama), you just have to book that early morning call.